I may have mentioned sometime last year that my current company (that shall remain nameless) allowed me to move to Colorado from California and work remotely. It was probably the coolest move any employer has ever done for me. Now that I work remotely from home it gives me a lot of flexibility that I didn't have before, but because of that flexibility it also causes some grief. For instance, If I decide to run out and visit Walmart real quick, it almost never fails that I get a call from someone who has locked their account out in Active Directory because of fat fingers. Before I would sigh, and tell them they would have to wait until I got back to my computer. Well not anymore! 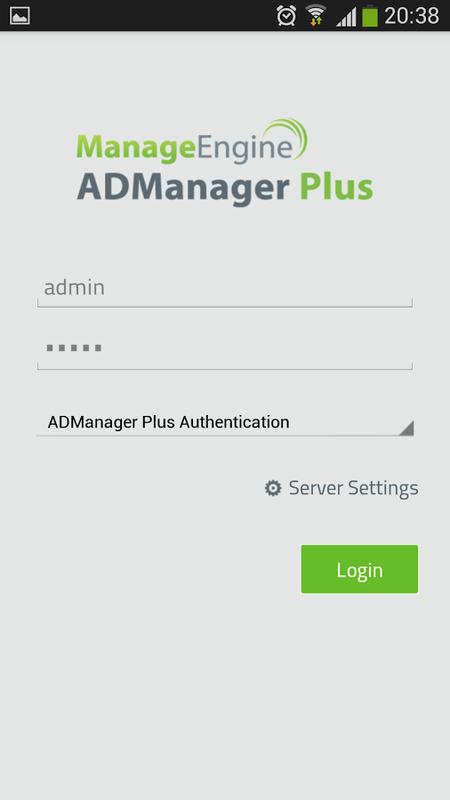 I've been using a tool in my company for a long time called ADManager Plus Free Edition. I've pretty much only used it for Active Directory cleanup and running reports, but I figured out another use for it. You can enable SSL on it, open it up to the public and use the free AD Manager Android app to connect to it and unlock users, reset passwords, disable accounts etc. Actually, a better idea would be to set it up internally, and configure your phone to connect to your network with VPN, then use the app to unlock users. It's up to you I suppose. Either way you can do it remotely! The free edition comes with all the same features as standard edition with the limitation of managing 100 domain objects at a time. If your company is small like mine, that is not an issue. If you are a larger company, you might want to fork over the cash for their standard or pro versions. So now if I have to run down to Walmart, and one of my frequent customers calls to have me unlock their account, I can do it using just a few swipes on my Android device! Do you use something to help manage AD users remotely? What do you use? Let us know in the comments.